The symposium, which takes place on the poet’s birthday on November 30th, is accompanied by an exhibition of rare and original materials illuminating the history and circulation of the poem and the evolution of the poppy as a symbol of remembrance. 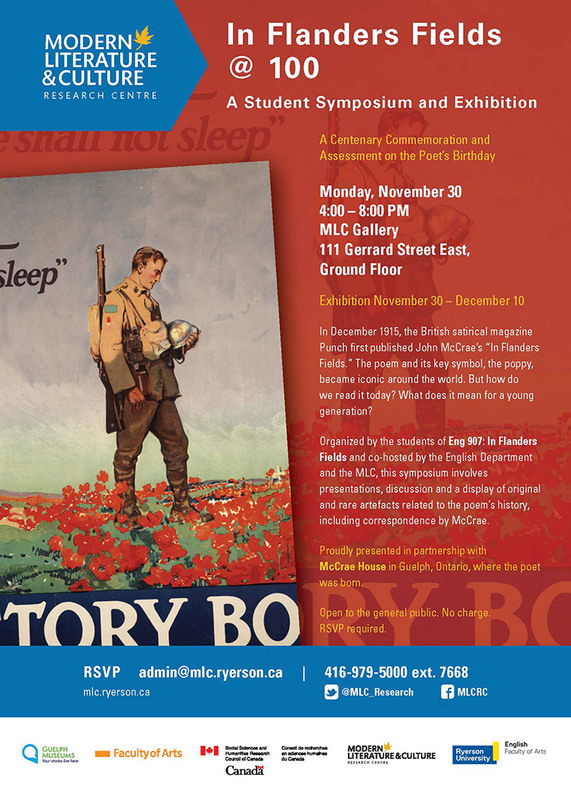 Ephemera on display include a rare and moving letter written by John McCrae to his mother on the eve of the war, and vintage posters and sheet music revealing the popular circulation of the poem in Canada and the United States. The exhibition also includes an installation involving 800 commemorative poppies. The exhibition runs in the MLC Gallery from November 30 to December 10.